for taking great care of my clients! Since 2000, Welco Web Design has been providing quality web sites and internet solutions for my clients. With over 15 sites designed and many maintained, Kim Weldon and her team have a 100% approval rating with my clients. Design and Graphics - by creating websites with style that deliver my clients message to the public and potential prospects. Customer Service -providing quick turn-around and a “willing to help” attitude. Results, by properly setting up the websites and maintaining them, my client’s hits have doubled and sometimes tripled. Her sites receive the right qualified prospects. An increase in sales with-in the companies have been measurable. A valuable relationship with Kim Weldon who goes the distance in promoting my clients’ businesses. Welco Web Design is a partner in my company’s success! You have been selected as Hawkins-Welwood Homes L.P.'s May, 2006 subcontractor of the month for the Sale's Choice. We have singled you out for doing outstanding work, looking out for our material, and especially for looking out for our customers. You are a craftsman and we are proud to have you on the team. In recognition of your contribution to the Hawkins-Welwood Building Team, we are presenting you with Fifty Dollars. 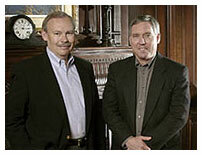 Your are a valuable asset to the Hawkins-Welwood Builder's Team. Your devotion to our luxury home product bears great credit upon yourself, Welco Web Design, and the Hawkins-Welwood Homes Building Team. Many thanks to Kim Weldon and Welco Web Design for their outstanding work in creating our company’s website. They are such a professional group, and the whole process, from conception to completion, was absolutely seamless. Kim is so creative, and succeeded in capturing the essence of who we are, our company’s image, and how we position ourselves in the marketplace. We were quite pleased with the finished site, with its user-friendly organization as well as its elegant, uncluttered design. When we need updates to the site, Kim is always available. Her positive, can-do attitude and short turn-around time for changes and additions have made maintenance a breeze. My staff and I have spent time checking out the competition, looking at other builder’s sites, and we all agree: Ours is the best homebuilder’s website around! I consistently hear from my patients, how much they like our web site and how helpful it is to them. I credit Kim Weldon (Welco Web Design) for making our site so pleasant and informative. Also it is uniquely designed for my practice and patients. There are no boring boilerplates from Welco. I have thoroughly enjoyed working with Kim on this project. Dallas Plastic Surgery and Dallas Medical Skin Care have been involved with Welco Web Design and Kim Weldon for many years. She has not only designed our websites and given us innovative ideas but she makes sure they stay up to date. It has been our experience that any changes or additions to the site are typically done the same day as requested. Kim makes sure we get excellent service and is always professional and more than pleasant to work with. We are proud to be affiliated with Welco Web Design. I would like to thank you for all your help on our website. The website looks GREAT and I am so glad it is updated! I know it was a lot of work for you to re-format it, but it will now be user friendly and I am looking forward to that! Thank you also for adding your creative flair where you thought appropriate. I like all of the special touches you added. I found it very easy to work with you and convenient, as I could email you at all hours of the night! And you usually replied back immediately! Do you ever sleep? I enjoyed working with you and look forward to re-designing the website with you in the future.